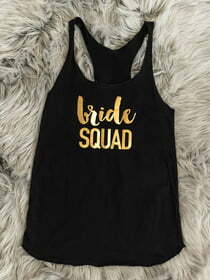 Back off, boys, these shirts proclaim - these ladies are with the Bride SQUAD. It's a testosterone free outing! No time for shenanigans. It's girls night, all night long.